Wasnt sure where to post, hope general is fine. I do not post much. Please let me know what you think...feedback, suggestions, opinions, and or concerns will be greatly appreciated. Now have to save up for a wing and diffuser. Any suggestions where to get them? Wish I had these in time for the Max meet!!! ugh! Charly, you've got the Machine looking good. i have the rain guards more for use than looks. ive been debating ripping them off. What about calipers? Thinking using G2 ... Just not sure what color. Did a little search and found Pink tends to be a crowd favorite, ha! Looks great!! Love the wheels! Do you have spacers or is it just the offsett of the wheels and the 275 tire?? Nice...wheels set it off just right. Nice Rennens... I have the same rims in silver; Love'em! very clean buddy, love the wheels!! lots of mods and more to come!! Im lovin' the wheels too,very nice. I kind of like the rain guards. I moved this to the members section for you. Car looks great. Love the wheels, I'm in South Jersey. Car looks awesome man, good job. I'm not a fan of the rain guards either, but it doesn't look bad on your car. The wheels do set your car off quite nicely. I got goosebumps just reading the great feedback! MaxiM1923......no spacers, it is just the offset, but spacers did cross my mind just to get a wider more aggressive stance. 07maximan.......not too crazy about the rain guards but they work great! more of necessity now that I've gotten used to them. Herrem1..... The silver were my first choice but seemed too bright for the look i was going for. But dont you think pics do not do any justice to these wheels? I feel you need to see them in person to really appreciate them. Awesome show by the way. I'm in voorhees, cherry hill area and there's also a couple of members in this area too. Wheels look great. Not overdone but a good, clean look. Looks good. Well done my friend was size are the wheels 20's ? Thank you, looking to do a very subtle body kit and wing and diffuser... other than that maybe intake and exhaust ... clean up a few loose ends and call it a day! Can't go too wild with this one, gotta stay classy yet aggressive... have a vw for the crazy wild ideas. Yeah, they are 20x10 and 20x8.5 I wanted to go 9's in the front but there was an issue with that. Sorry for the late reply, just lots of running around lately. trying to attend bear mountain cruise nights this wednesday, well, weather permitting, if anyone is interested. 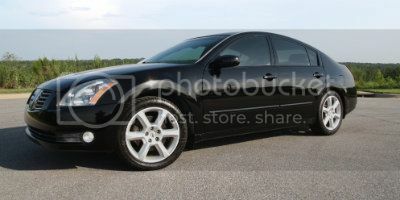 Car looks great how are those Nexen N7000 I just ordered a set ?